DeStefano and his team have created a dynamic and engaging portrait of two years in the life of a tight- knit American family, a single mom and her two kids, living paycheck to paycheck in Oxnard, California, with Rachel's stunning music as the soundtrack. 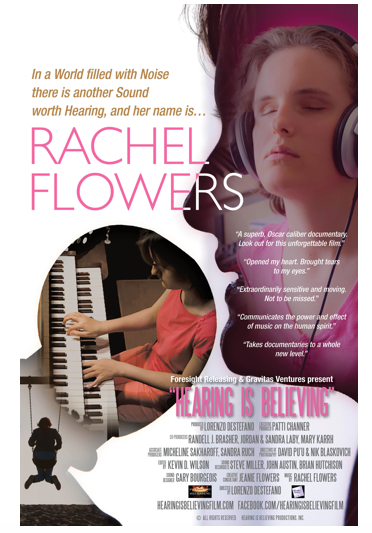 The film revels in Rachel's joyous and free-flowing love of song, illuminating the bonds of family and the divine mysteries of creativity. HEARING IS BELIEVING is produced & directed by Lorenzo DeStefano. Executive producer is Patti Channer. Co-producers are Randell J. Brasher, Sandra Laby, Jordan Laby, and Mary Karrh. Editing by Kevin D. Wilson. Cinematography by David Pu'u and Nik Blaskovich. 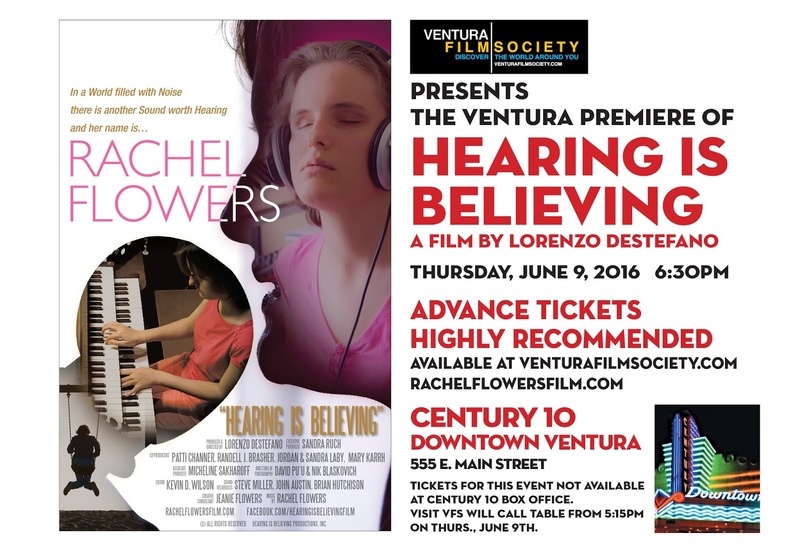 Music by Rachel Flowers.